From his arrival on the jazz scene, Coleman simultaneously attracted controversy and exerted an incalculable influence. His debut album, 1958’s Something Else!!!! (Contemporary), while still attached to the tenets of the era’s bop-rooted jazz in its instrumentation, blues spirit and reined-in improvisations, suggested an outsider approach brewing. Over the next couple of years, with one more release for Contemporary, Tomorrow Is the Question!, and a groundbreaking run of albums for Atlantic—The Shape of Jazz to Come, Change of the Century, This Is Our Music and Free Jazz—Coleman increasingly changed and expanded the accepted notions of harmony, rhythm, structure and group interplay in jazz. Still, for all his innovation, his compositions, some of which became standards, and improvisations, voice-like and descended from the blues and R&B, worked like great American folk art: They were profound and mysterious but also human and visceral. Embraced enthusiastically by some—he is as responsible as any musician for the advent of the free-jazz movement—and decried (even physically assaulted) by others, Coleman’s stubborn refusal to follow convention ultimately led to his being recognized as one of the most important figures in 21st-century music. In 2007, he was awarded the Pulitzer Prize for music for his album Sound Grammar, the first time a commercial sound recording received the honor. Randolph Denard Ornette Coleman was born in Fort Worth, Tex., on March 9, 1930. 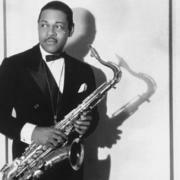 Initially a tenor saxophonist, he switched to alto in 1949 when his tenor was stolen while he was touring with a rhythm-and-blues band. He then joined the band of guitarist Pee Wee Crayton and moved to Los Angeles, where he worked various jobs, including as an elevator operator in a department store, while studying music theory and working out his personal approach to jazz. In time, particularly when he came to embrace electronic instrumentation in the 1970s, Coleman’s musical theories would take on a name, harmolodics, which he later described as “the use of the physical and the mental of one’s own logic made into an expression of sound to bring about the musical sensation of unison executed by a single person or with a group.” His concepts regarding freedom within music would influence countless jazz artists as well as many outside of that realm, from Lou Reed to Yoko Ono to the Grateful Dead—all of whom collaborated with him at various times. The Shape of Jazz to Come, produced by Nesuhi Ertegun and released in October 1959, more firmly introduced Coleman’s free-jazz invention, as he, Cherry, Higgins and Haden improvised harmony, melody and rhythm in a way that allowed those elements to transpire collectively, with equal importance and moment-to-moment reflexivity. Change of the Century, by the same lineup, and This Is Our Music (with Blackwell replacing Higgins), largely continued to explore along the same avenues. The arrival of Free Jazz: A Collective Improvisation in the fall of 1961 shook things up further, as Coleman simultaneously utilized two different bands as his accompanists: Cherry, Higgins and bassist Scott LaFaro on one channel, and Freddie Hubbard (trumpet), Haden and Blackwell on the other. There were no compositions per se—the two sides of the album, one long improvisation broken into two, were simply called “Free Jazz” parts one and two. Coleman remained prolific throughout the 1960s and early ’70s (though he took a break from 1972-75), forming influential bands and recording dozens of albums for Atlantic, Blue Note, Impulse! and other labels, some more successful than others artistically but none having as seismic an impact as those first few on Atlantic. He continued to experiment, venturing further into the free jazz he helped to create, and at times tried his hand at trumpet and violin. In 1966, Coleman daringly brought his son Denardo, then 10 years old, into his group as drummer. 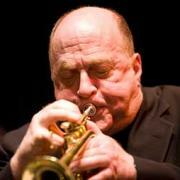 (Denardo continues to play today, and led the house band at last year’s historic, star-studded Brooklyn tribute concert). Science Fiction, a 1971 release on Columbia, is often considered one of Coleman’s best recordings. 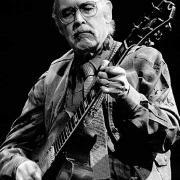 Ever the iconoclast, Coleman’s composition entered new terrain with his next release, the 1972 double-album Skies of America. Recorded with the London Symphony Orchestra, like most of his work it received mixed reviews, some finding it gloriously original and others too dark and tedious for a symphonic work. Even as he aged and settled into his established role as elder statesman of the avant-garde, Coleman continued to seek newness. In 1976 he assembled the electric group that would become Prime Time, consisting of two guitars, two basses and two drummers and straddling the line between the grooving jazz-rock of the day and his singular ideas about melody and harmony. Prime Time’s ’77 release, Dancing in Your Head, largely rides what would become one of Coleman’s calling-card melodies, “Theme From a Symphony,” into ecstatic, polyphonic, Morocco-indebted jams. Song X, a 1986 release on the Geffen label, was a highly touted collaboration with guitarist Pat Metheny (also featuring Haden and drummers Denardo Coleman and Jack DeJohnette), and Virgin Beauty (Portrait Records), two years later, gained notice in part because of guitarist Jerry Garcia’s guest role on three tracks. In All Languages, a 1987 double-album, featured both Prime Time and the early Cherry-Haden-Higgins lineup. Ornette: Made in America, a 1984 documentary directed by Shirley Clarke, was rereleased in 2012. Coleman was active for some time in the ’90s, highlighted by his 1995 album, Tone Dialing. Sound Grammar, released in 2006 by Coleman on his own Sound Grammar label, was his first in 10 years and became his last proper new release. Recorded live in Germany, the album consisted of new arrangements of previously recorded material. Coleman was given a Grammy Lifetime Achievement award in 2007 and was also the recipient of a Guggenheim Fellowship for composition and a MacArthur “genius” grant. During his last years Coleman largely withdrew from public performance; however, in September 2010 he joined Sonny Rollins onstage (their first-ever appearance together) for the latter’s 80th birthday concert at New York’s Beacon Theatre. He also performed at last year’s aforementioned tribute concert in Brooklyn. For more on his life and work, read Nate Chinen’s 2006 cover story, and Gary Giddins’ 2006 Cadenza column.